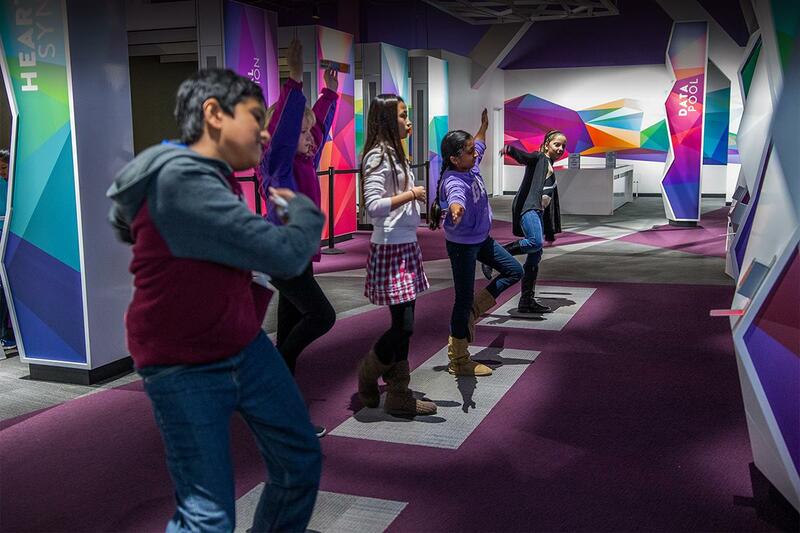 Explore how your movement and interactions with others affect your physical, social and emotional health. 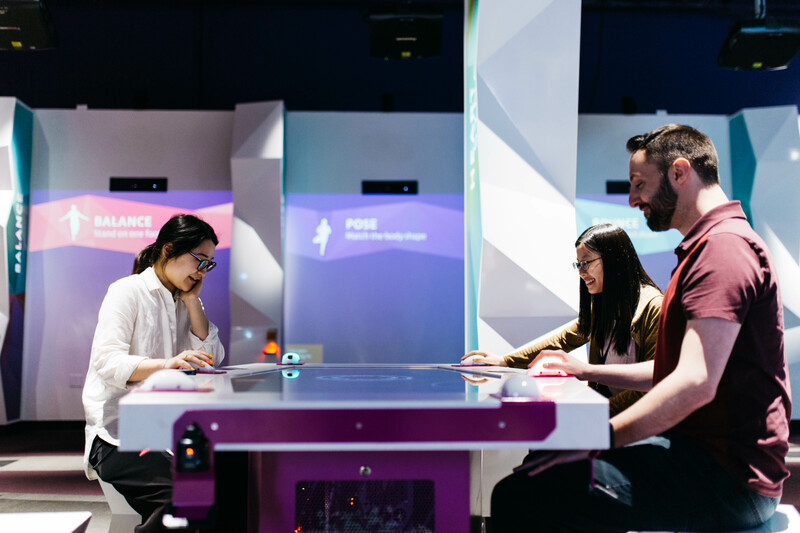 Microsoft’s Kinect technology powers large-scale projectors that lead visitors through three activities — Pose, Balance and Bounce — during which body position, activity and range of motion are measured. 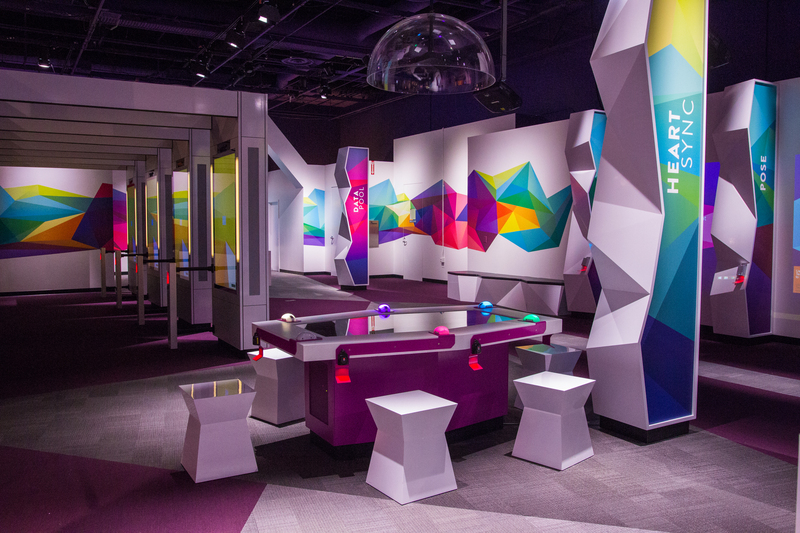 Stand in front of the half-silvered mirror and see your reflection overlaid with representations of the journey you took through the museum that day. 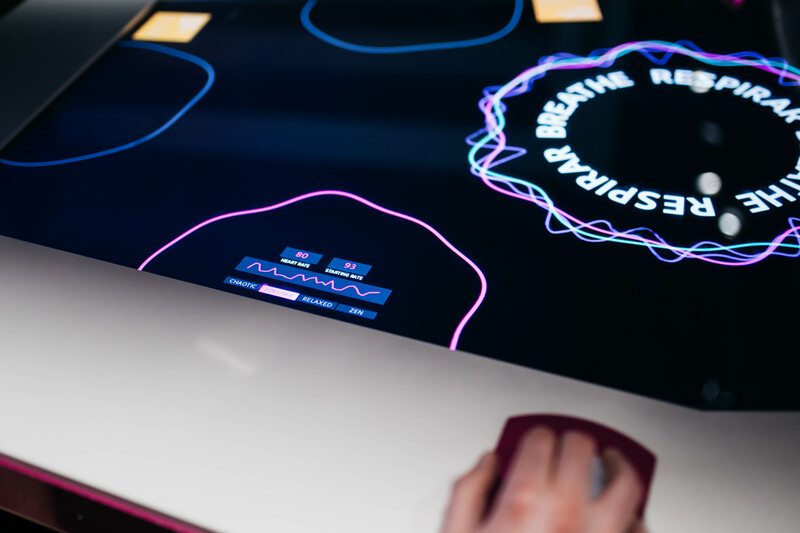 Up to six people can sit and watch a visual representation of their breathing and heart rate. Breathing more calmly and rhythmically is the goal, and watching the squiggly lines turn into a perfect harmony circle — and then sync up with the circles of others — is the reward. 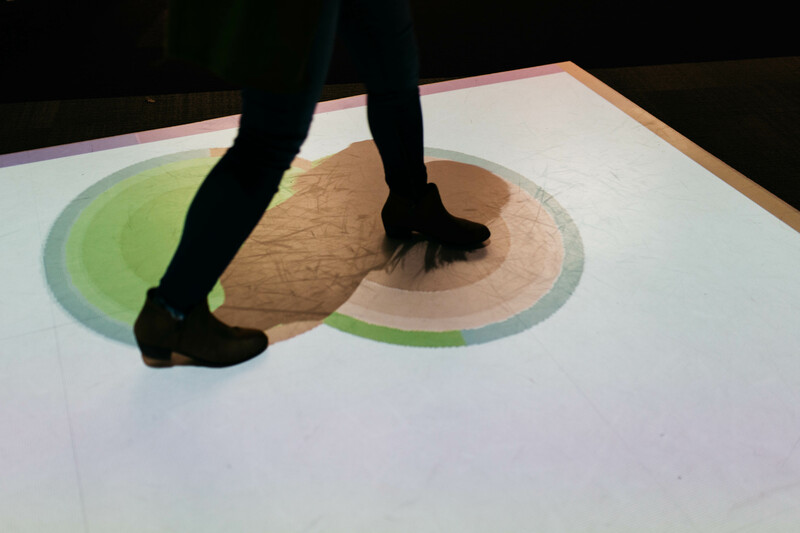 An interactive projection mapped onto the floor promotes social encounters through a playful experience.